A conversation with Jaime Florez-Estrada, executive vice president of marketing at Royal Agio Cigars USA and an 18-year veteran in the tobacco industry with more than a decade of experience managing top cigar brands. 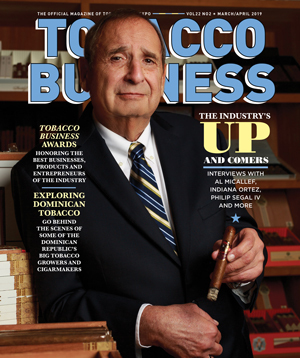 Tobacco Business: What products will you be exhibiting and what distinguishes them in the market? Florez-Estrada: Our focus for the show will be on our Panther premium cigarillos. 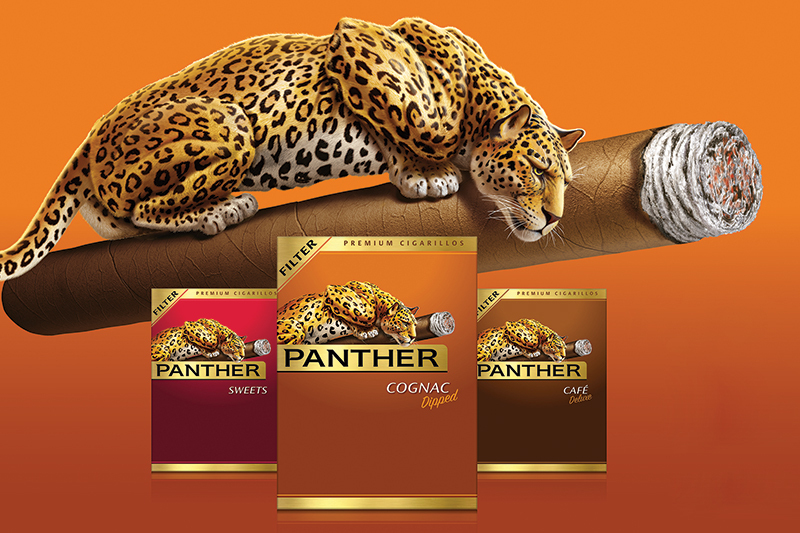 Panther is one of the best-selling premium cigarillos in the world and is the result of a passionate desire to boldly craft a premium cigar experience in a small cigar format. Panther delivers a uniquely sophisticated, smooth and uncompromised cigar experience because each cigarillo blend is crafted from aged, premium cigar tobaccos inside a natural leaf wrapper. What are your goals for the Tobacco Plus Expo? Given the recent release of Panther premium cigarillos, as well as several handmade cigar blends for both the Balmoral and San Pedro de Macoris lines, our primary goal for the show is to continue to drive trade awareness for our incredible premium brand portfolio. What are your plans for 2019 overall? While TPE provides a fantastic platform to launch new cigar blends early in the calendar year, our plans for the rest of the year include additional releases to keep things exciting for our cigar brands. We will also continue to ramp things up [regarding] product and brand engagement experiences, online and offline, in order to strengthen our relationships with both retailers and consumers. Royal Agio Cigars is a family-owned company that has been crafting premium cigar blends since 1904 and is a top four global cigar manufacturer, producing only premium cigarillos (Panther, Mehari’s), as well as boutique premium, handmade cigars (Balmoral, San Pedro de Macoris). 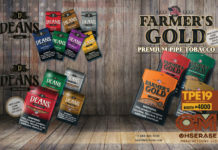 The company’s DNA is high-grade premium tobacco only, regardless of cigar format, large or small. As consumers continue to demand higher-quality, craft premium products across different product categories, our premium blend cigar brands are well-positioned to successfully deliver on and exceed consumer expectations. What advice would you give to retailers to make the most of the Panther’s profit potential? Panther premium cigarillos offer mass convenience retailers an immediate opportunity to increase their overall cigarillo category margins. Merchandising is critical to ensure that consumers become aware of this new premium cigarillo brand. This is more important than ever, especially today, where a vast and colorful discount cigarillo category exists, which can easily mask the release of any new brands in the overall category. We recently partnered with a retail chain to ensure strong retail visibility and presence (merchandising and POS), coupled with an attractive trial promotion offer, and the results have been extremely positive to date. The idea is to now partner with additional retailers to replicate this successful model for Panther premium cigarillos and help increase their overall category profitability behind a proven global brand. Cigar smokers interested in Panther premium cigarillos are primarily interested in purchasing superior quality at an attractive price. The Panther cigarillo product proposition was designed from the ground up to offer consumers the perfect balance of a premium cigar tobacco experience in a small format, along with a fair everyday price point. Marketplace results so far suggest that we’ve hit a bulls-eye with Panther premium cigarillos, with most consumers who try Panther claiming they will purchase the brand again in the future. Royal Agio Cigars has been purchasing premium tobaccos for over 114 years, so you could say that they’ve developed quite an expertise when it comes to producing superior and consistent premium-blend cigars. From the purchasing of tobacco to the strict quality control process at each of their factories, Royal Agio ensures that each and every cigar or cigarillo delivers the best experience possible. How concerned are you about U.S. Food and Drug Administration (FDA) regulation? FDA regulation is something that all manufacturers will have to deal with from a compliance standpoint moving forward. 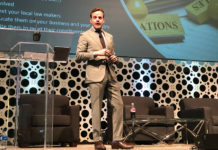 It will impact some companies more than others, depending on internal compliance infrastructure in place and each company’s ability to successfully navigate the evolving regulatory landscape in a way that helps maintain competitive advantage. Royal Agio is well-positioned to operate for the long term within this constantly changing landscape.